Through the WCO e-learning courses, customs knowledge is a few clicks away. More than 250 hours of courses on various customs subjects are now available in English, French, Arabic, Spanish and Portuguese. Take a demo course! The nominations are done through the national e-learning co-ordinator, a single contact point nominated by the administration to collect the registration requests. 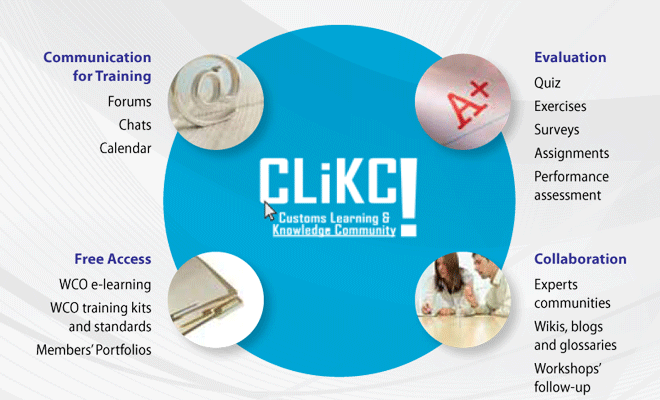 In order to get access to CLiKC!, you should contact your national co-ordinator. More details on the registration process are available on the FAQ section. We hope you will enjoy CLiKC! Have a look at CLiKC! user manual or read our FAQ. You may also consult the Help Forum. Consultez le manuel utilisateur CLiKC! 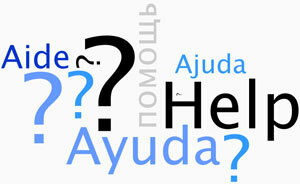 ou consultez notre Foire aux questions. Vous pouvez également consulter le Forum d'aide. Echa un vistazo a CLiKC! manual de usuario o leer nuestras preguntas frecuentes (Inglès). Also read our brochure for more information.